Names are important. Certain titles conjure up undeniable reactions, both good and bad. Who amongst us has nixed a baby name suggestion thanks to it having something in common with an unliked teacher or boss? Or, on the flip side, gave their progeny a name that honoured a dear family member? Choosing wisely is pretty important. 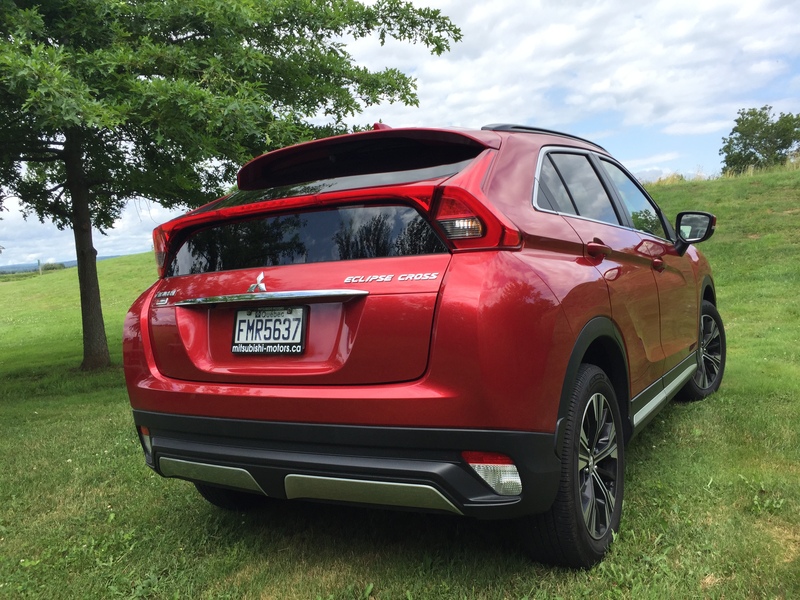 This is why the Mitsubishi Eclipse Cross nameplate gives me pause. The Eclipse zoomed onto our sports car scene in 1989, part of a three-pronged attack by Chrysler to poke a thumb in the eye of a just-burgeoning affordable sports car scene. Infused with all-wheel drive turbocharged fun, the original Eclipse was a super little pocket rocket that turned jaded gearheads into doe-eyed fans. The company continued to stick the Eclipse nameplate onto two-door coupes until 2012, at which time the model disappeared. Until now. Mitsubishi has chosen to resurrect it for the crossover you see here. Your author totally understands why car companies return to the well and re-use a popular name from their heritage. This worked for the Dodge Challenger and, tangentially (even though it’s a four-door), the Dodge Charger. We’ll see what happens with the Chevy Blazer. There is inherent risk in applying a storied nameplate onto a machine that bears no resemblance whatsoever in styling or mission to its forebear. If Mitsubishi is bent on using a familiar name, they have plenty from which to choose. Cross Colt would’ve worked just fine here. I digress. It is unfair to denigrate the Eclipse Cross based solely on its badge, just as it would be unjust to dislike your new boss just because they have the same name as your parole officer. This is now the third crossover machine on offer to customers in Mitsu showrooms, joining the Outlander and diminutive RVR on the sales floor. The Eclipse Cross is imbued with more flamboyant styling than both of its corporate cousins, combined. The company claims it casts a “coupe-like” shadow, with inspiration apparently drawn from the shape of an Olympic runner who is crouched at their starting gate for a 100m sprint. Take that as you will but owners will not lose this machine in the parking lot. It stands out—whether in a good or bad way is in the eye of the beholder—but the fact it looks like something is refreshing in today’s sea of milquetoast crossovers, most of whom can make a bowl of gruel look exciting. Your author approves. He especially approves of the rear (hm, that didn’t come out correctly) where a hoop of light swoops across the bifurcated hatchback like a spear of red lightning. Almost cubist in nature, the tall hatch has a vertical pane of glass through which drivers can peer while watching for the constabulary on their six. Comparisons to the departed Pontiac Aztek are unfortunate and unnecessary. Measuring 4405mm, the Eclipse Cross is only 40mm longer than the pocket-sized RVR and nearly 200mm shorter than the Outlander. Its wheelbase and 216mm of ground clearance is equal to both. In the ever-fluid world of small crossovers, consider it a competitor to the likes of Hyundai’s Tucson or Nissan’s Qashqai … at least until those manufacturers move their targets a bit. Inside, the Eclipse Cross doesn’t feel parsimonious, a complaint readily leveled at a few machines from this company in recent years. 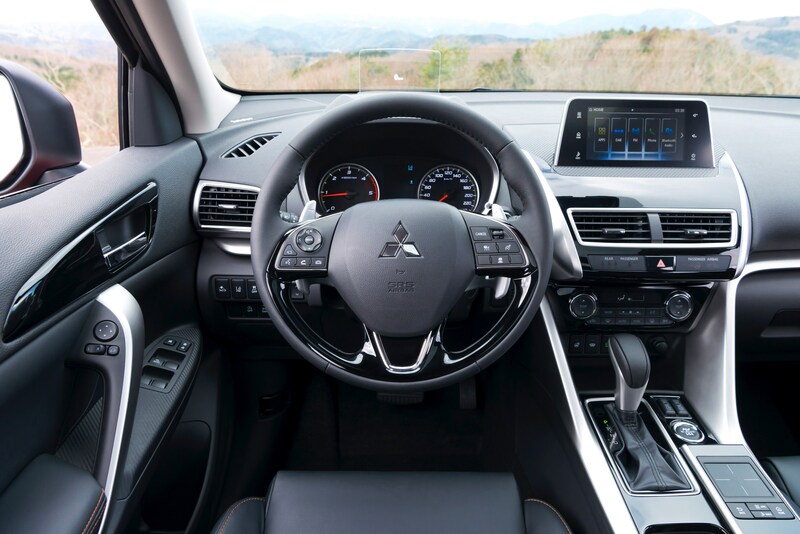 Given the broad net cast by its competition, Mitsu has to step up its interior game and the Eclipse Cross does so. Front seats are comfortable for all, while those long of torso may find themselves ducking their heads thanks to the EC’s attempt to draw a “coupe-like” outline. However, the shape of that cubist rear hatch mentioned earlier could pay dividends when trying to Tetris in tall loads from IKEA. The infotainment system is devoid of any physical buttons on its face, leaving the driver to utilize the steering wheel controls and passengers to decipher an active touchpad located on the centre console. Apple CarPlay and Android Auto are standard on all trims. Eclipse Cross is the company’s first to feature their new turbocharged 1.5L inline-four. It is port and direct injected in a bid to get the most out of a litre of fuel, which is also the reason for the electronically controlled wastegates. Total output is 152 horsepower and 184 pound-feet of torque, which is an amount of twist that outstrips the EC’s competitors and is available at just 2000rpm. 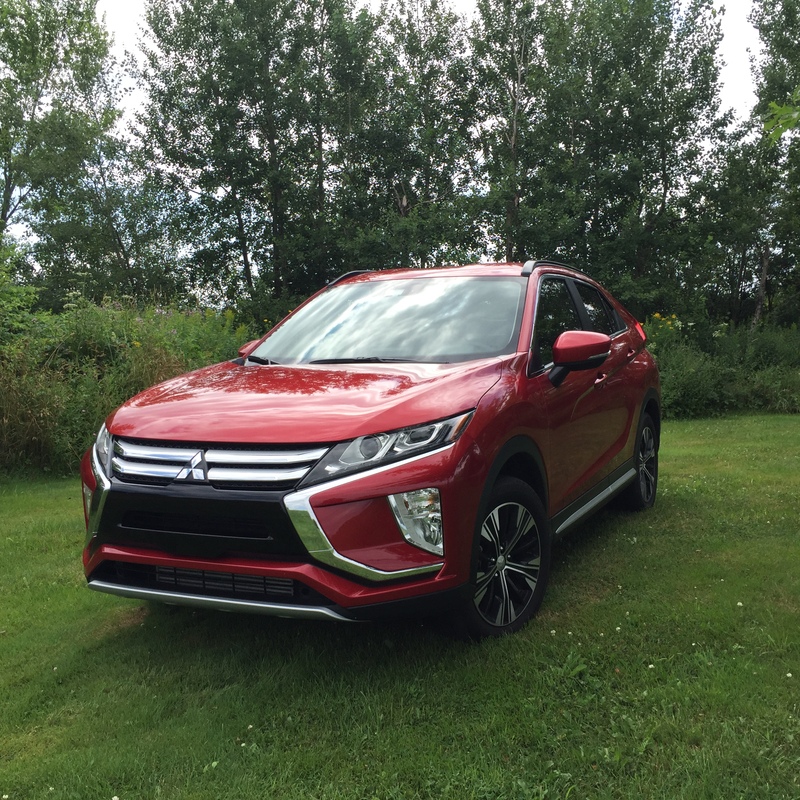 The 2018 Mitsubishi Eclipse Cross starts at a reasonable $27,798 which includes all-wheel drive and all manner of creature comforts like heated sideview mirrors and Apple CarPlay. Taking a $2200 walk to the mid-level SE adds dual-zone climate control and active safety nannies. The GT shown here stickers at $35,998. For this princely sum, one will also find a heads-up display, a banging 710-watt Rockford-Fosgate audio system, and leather seats. Rear-seat minions will enjoy heated chairs as well in the GT. Mitsu says the SE will be their volume trim. Our buying advice is to save your shekels and stick with the well-equipped base model. Another simple quirk making the EC stand out from the crowd? The company has creatively labelled their all-wheel system as Super All-Wheel Control. It is said to incorporate torque vectoring technologies that provide more predictive handling by way of managing the left-to-right propulsion and braking forces. That unique title goes along well with the trucklet’s funky shape. After all, naming decisions are important, right?